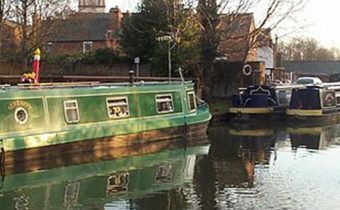 The Oxford Canal is 78 miles long linking Oxford with Coventry via Banbury and Rugby. It connects with the River Thames at Oxford. Once an important trade route, it now serves pleasure boaters and is often considered one of the most scenic canals in Britain.